A few years ago one enthusiastic Armenian developer lost his wallet, again – modern classics, you’ll say, regarding how much time an average person of the 21st century spends on commuting from one place to another. And that’s how the idea was born: to create a smart wallet that would be able to utilize tracking technology and no owner would lose their stuff anymore. This one of the first high-tech wallets named Volterman was presented on Indiegogo crowdfunding platform – the development team evaluated various investment situations and calculated the sum of $45,000, but people liked the idea so much that initial 45 grands turned into one million dollars of contributions in the end. Since then these wallets have become quite popular with different categories of people – businessmen, entrepreneurs, even actors. It stands to reason why because the modern version of classics allows to keep people out of dangers like losing money that happens often. If you’ve never heard of such devices before or simply come to learn more, welcome aboard because now we’re going to discuss what makes wallets this ‘clever’ and which models you should take a closer look at in case you want to swell the ranks of tech folks. What Is a ‘Smart Wallet’? Basically, there’s no substantial difference between smart wallets and classic wallets in terms of ‘layout’ – this is still a small case that is used to carry personal items. Technically, there’s substantial difference since tech-based versions are jammed with electronics: power banks, Wi-Fi hotspots, but, most of all, GPS tracking which makes them extremely safe. Each model has a special location system which is connected to an application on your phone. So as soon as you leave it somewhere, it’ll take a couple of taps to track the exact physical location, not to mention some models allow to scan faces thanks to tiny detection cameras. Pretty convenient, huh? Aside from obvious reasons that they protect your belongings etc., there are far more advantages coming along. However, the model you buy plays an important role as the more expensive the model is, the more functionality hops along. Compact and adaptable to your needs. If you’re afraid smarties weigh a ton because of all these functions, you’re dead wrong – some models can be compared to a pack of sweets. Besides, you can choose from multiplex of models designed right for you. Original solution. They are classy, for sure. Now it’s not only a practical tool to have, but also a great fashion accessory that can emphasize your personality. More than some trackable device. If you’re a tech savvy, smart wallets can offer you numerous functions from hotspots to PIN identification and virtual credit cards. Convenience at its best. Powerbank. 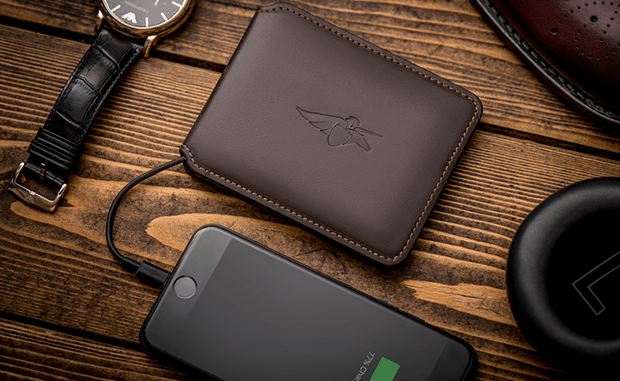 The wallet has a built-in powerbank allowing to charge your phone on the go either with a cable or wirelessly. Volterman Cardholder boasts with 2,000 mAh capacity while Volterman Travel kills it off with 5,000 mAh. Don’t worry about the weight – this wallet weighs around 0.22lb. Distance alarm. ‘Vice-versa’ system works two ways – if you lose your phone, the system will send a signal to your wallet, and if you lose your wallet, the system will send a notification to your phone. Bluetooth Alarm keeps things versatile, so you kill two birds with one stone. Wi-Fi hotspot. Do you need to connect to the Net ASAP? Connect to the wallet instead! Volterman team guarantees that the Net cost is three times cheaper than regular roaming. GPS system. Real-time tracking is what any smart wallet is exceptionally good at. In a nutshell, you can track it from any location. Camera. Once you lose your wallet, Volterman will take a snapshot of anyone who tries to open the wallet and send you the photos by e-mail. So you find the person who finds your wallet. A tiny camera ensures your thief won’t have any idea about the ongoing photoshoot. Volterman currently has three models: Cardholder, Bifold and Travel, each varying in price, powerbank capacity and weight. MiWilli is a project from Russia. Even though this wallet is similar to Volterman’s solutions but has a fewer range of functions, MiWilli is quite an interesting tool for an affordable price. 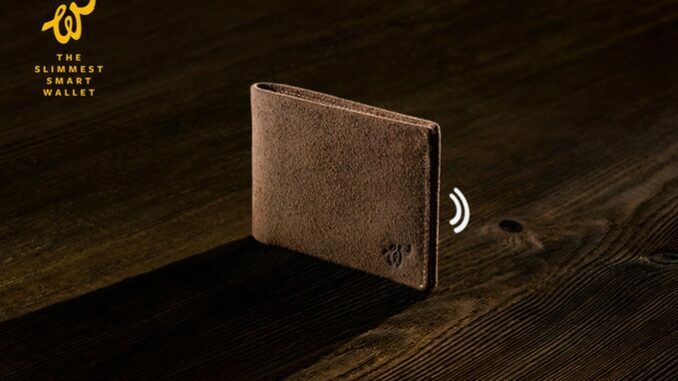 The wallet utilizes a built-in iBeacon tracker which synchronizes with your phone and allows to follow up coordinates carefully. The thing why MiWilli seems totally different is this iBeacon tracker that consumes 30 times less energy than traditional Bluetooth or Wi-Fi devices – in other words, you need to change the battery once in six months only. Reasonable price, optimum size. Walli is an exact analogue to MiWilli in terms of functionality – they both utilize the same kind of batteries. Features appear to be the same, too: the wallet sends a sound signal to your phone when you reach out of the wallet (100 ft). However, Walli offers a few unique features as well. 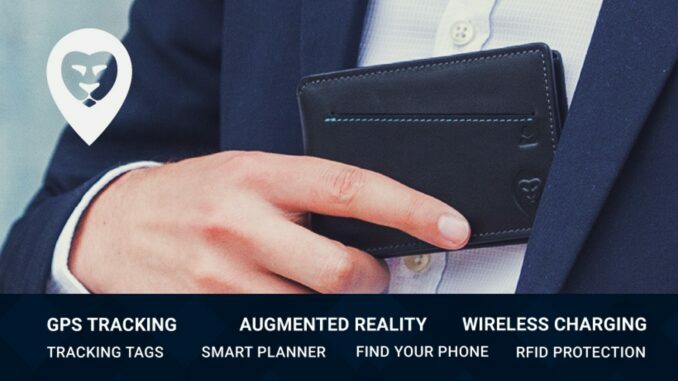 As soon as you connect the wallet to your phone, Secure Pockets technology starts to monitor your cards and documents. If some credit card disappears for long, the wallet will send a notification. 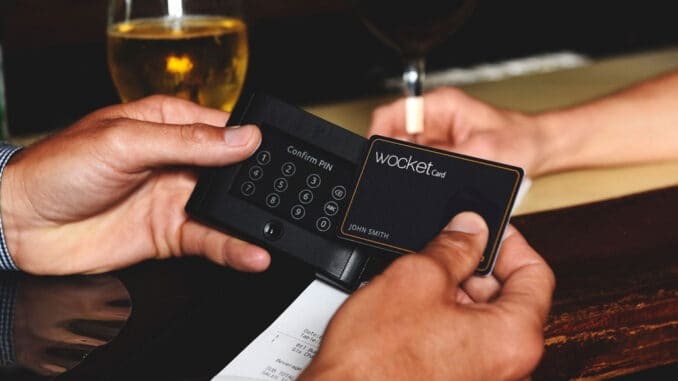 Wocket is a totally smart wallet: just under $200 the developers offer you to carry only one card. This all-inclusive system consists of a special digital card and a screen to control every ‘downloaded’ card. That’s a refreshing feature for those who usually carry heaps of credits cards in their wallets and have a hard time sorting them out at the cashier. Security is at the top level, too. You enter a PIN or a code phrase on the screen to access the wallet. Like any other smart wallet, Woolet specializes in tracking – you install an application to your phone and right when the wallet gets sidetracked, you receive an alert. In addition to this sacred function, Woolet provides tracking by sound: the device has a built-in speaker, and you can set it to go off. Quite practical if you forget where you’ve put things at home, for example. Besides, Woolet has an easy-to-charge battery capable of going for days on. Luxurious and stylish Bellroy is what you need to become the coolest cat in the hood. This wallet is designed for travellers – it has plenty of space to carry stuff from credits cards to passports and IDs. Besides, Bellroy has a powerful protection system, so you can rest assure that no one goes rummaging through your wallet without being noticed. Another high-tech project from Kickstarter stuffed to the mat: wireless charging, tracking tags, GPS tracking, identification protection, cameras and even a planner to keep things organized. Tracking tags allow to stick a discreet tag on any surface and use the app to find the exact location within 10 ft while GPS tracking allows to find your wallet or phone in seconds. Great news that Wallor comes in 14 (!) different models, so you can choose between extremely packed tools and compact basic models.